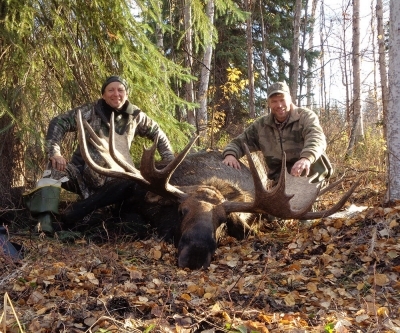 When you are hunting for Moose in Alaska with us you can expect top quality service. We have an excellent Alaska moose hunting area near the Yukon River where our specialty is hunting Trophy Alaska Moose! 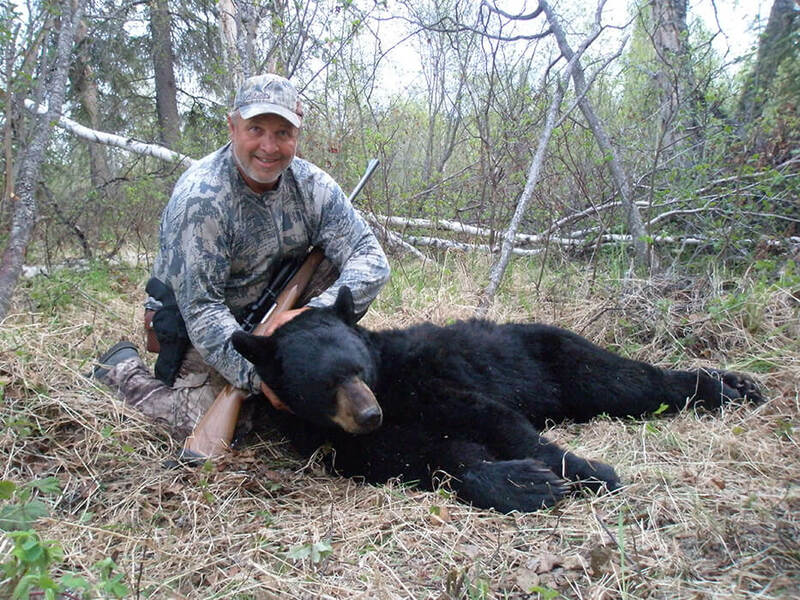 We also offer guided Moose Hunting Alaska, Alaska Grizzly Hunts and guided Alaska Black Bear Hunts. 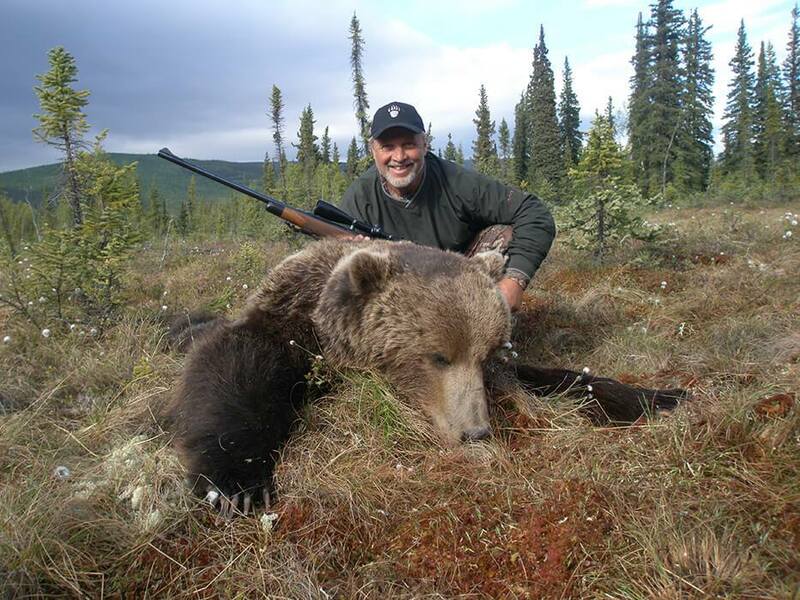 Wolves and Wolverine can also be taken on most of our Alaskan Hunts. 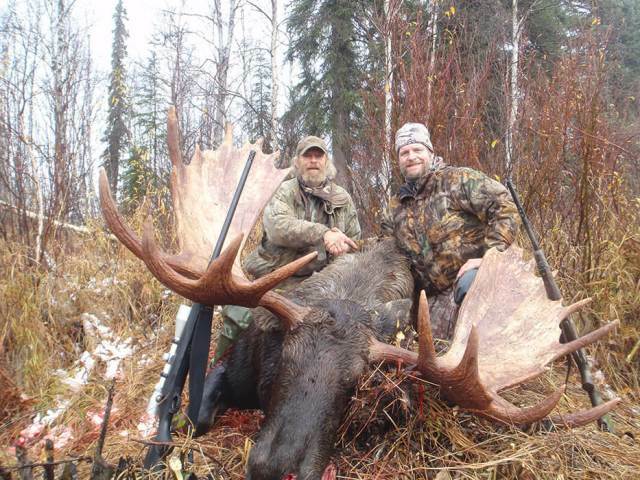 We have a lifetime of Hunting in Alaska and have enjoyed many successful hunts on our Guided Alaska Moose Hunts! 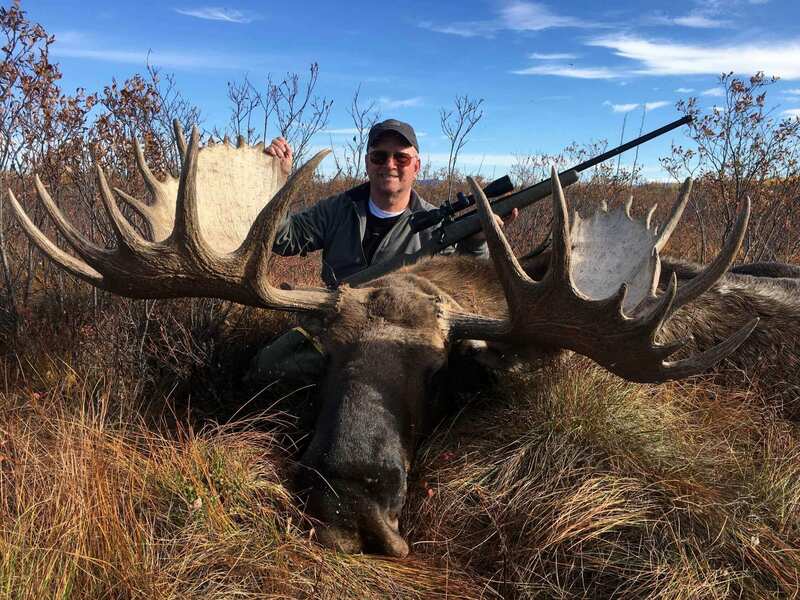 We are a family run Alaska Moose Hunting business and we enjoy working together to provide you with the very best personalized service when you are on a hunt with us. Our goal for each and every hunter who hunts with us is to provide them with a professional quality moose hunting Alaska experience in the Last Frontier. 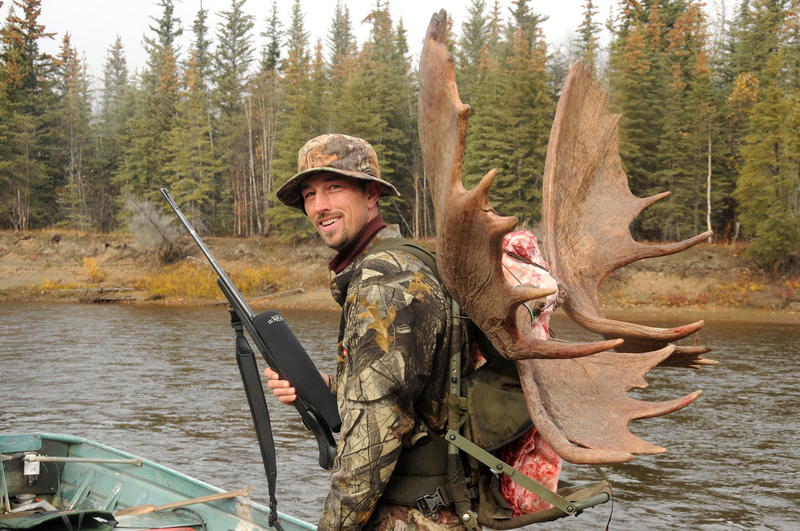 We scout the hunting areas for Trophy Bull Moose before and during the season. 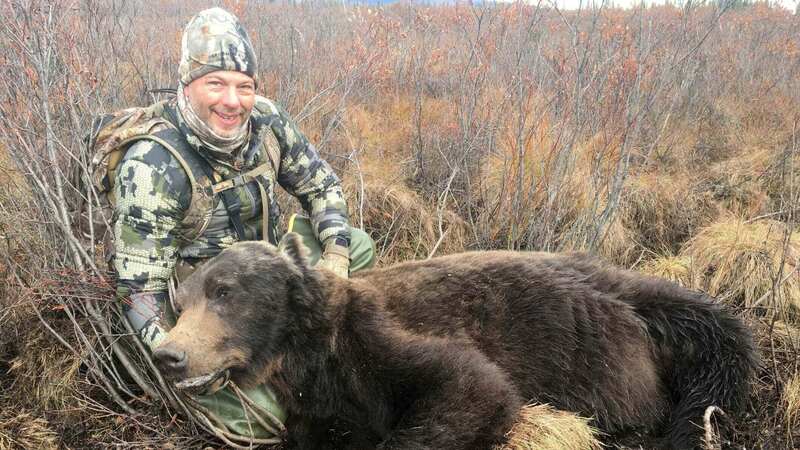 Our pilot has flown for over 31 years with a perfect safety record. We look forward to having you in camp and sharing part of Alaska with you! 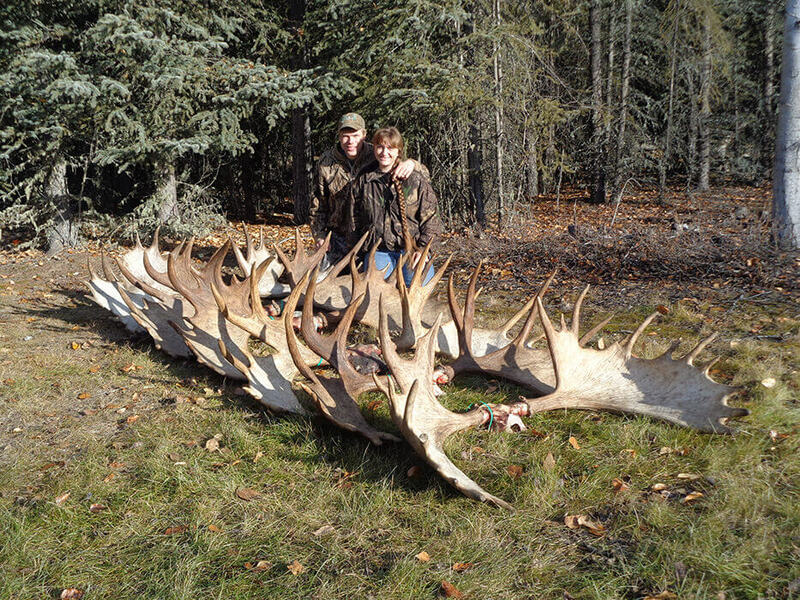 Learn more about our successful hunts and important information! 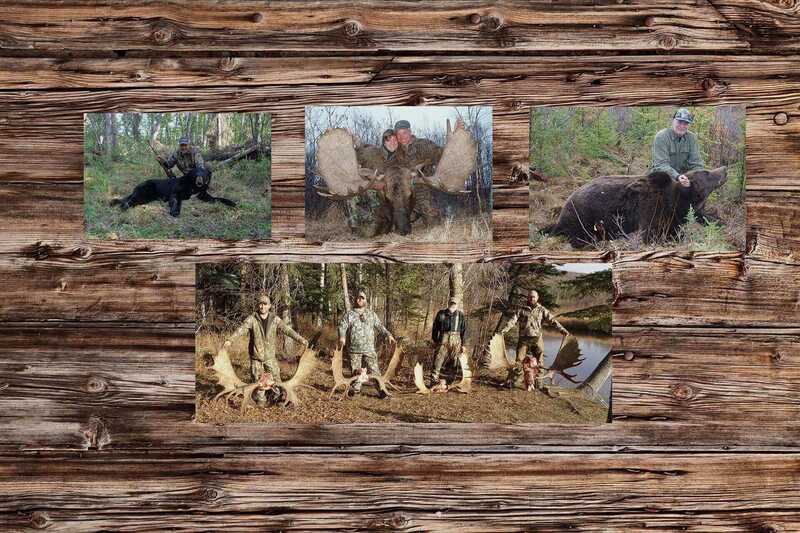 If you want to hunt trophy Moose, Black Bear, or Grizzlies, look no further. 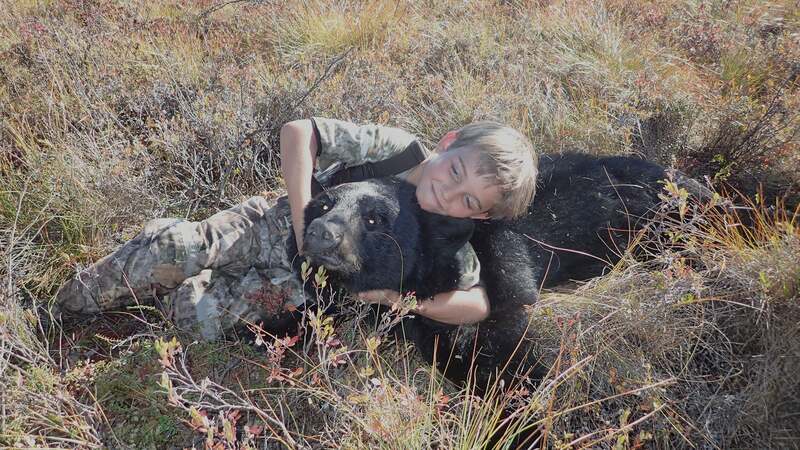 Our guarantee is complete customer satisfaction, please let us know if you have any questions and we will be happy to answer them for you!